Google has started rolling out Android 8.0 to its Pixel and Nexus devices with other manufacturers expected to follow later this year. According to Google, Android 8.0 is, "Smarter, faster, more powerful and sweeter than ever," but will you notice the difference when using your favorite apps? Android OS updates can make wide-reaching changes that affect the whole device. People assume that an OS update will mean better performance too, but we have seen that this is not always the case. By using a benchmark based on real-world tasks, you can see the areas where an OS update has the biggest impact. 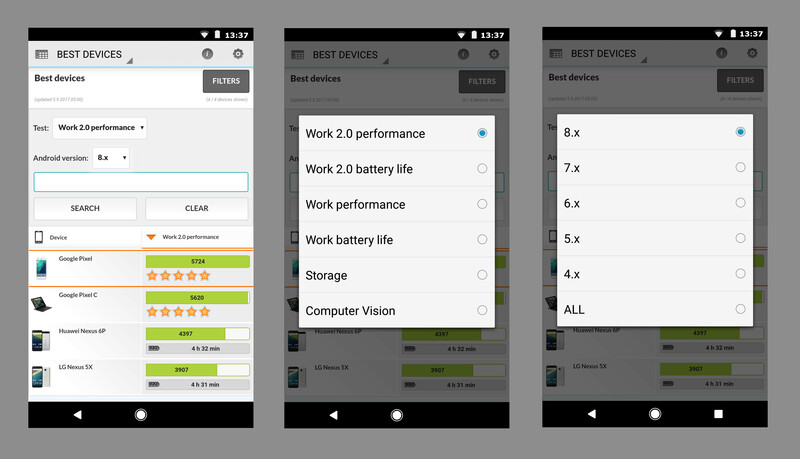 PCMark for Android benchmarking app can help you see how device performance changes with Android 8.0. It is easy to find the best smartphones and tablets with PCMark for Android. The in-app Best Devices list ranks over 1000 of the latest devices by average benchmark score. PCMark for Android makes it easy to see how Android OS updates affect your phone's performance. Use the Search box to find your device. Tap on your device to open the Device Details view. Landscape mode works best. Comparing Google Pixel performance with Android 7.0 and Android 8.0 in PCMark for Android. 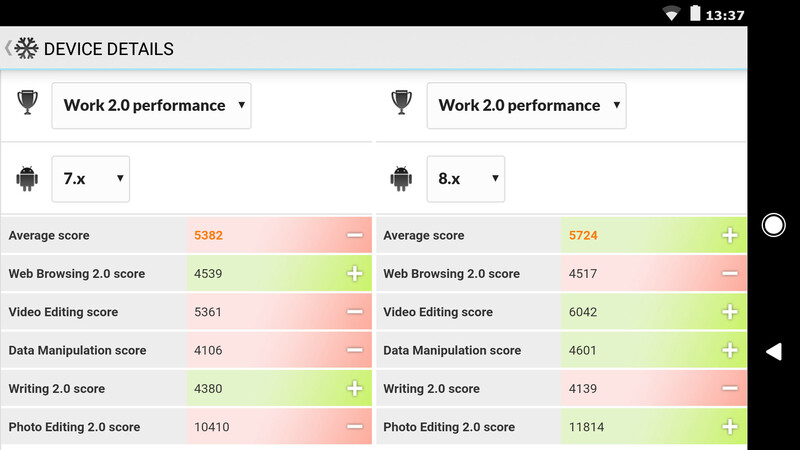 PCMark for Android benchmark tests are based on everyday activities such as web browsing, video and photo editing, writing and data manipulation. Use the test scores to see how your device's performance in these areas changes across Android versions. Higher scores, shaded green, indicate improved performance.